As a massive soup fan, I’m always on the lookout for new ideas, recipes, and specifically converting some of my favorite meals into soups. 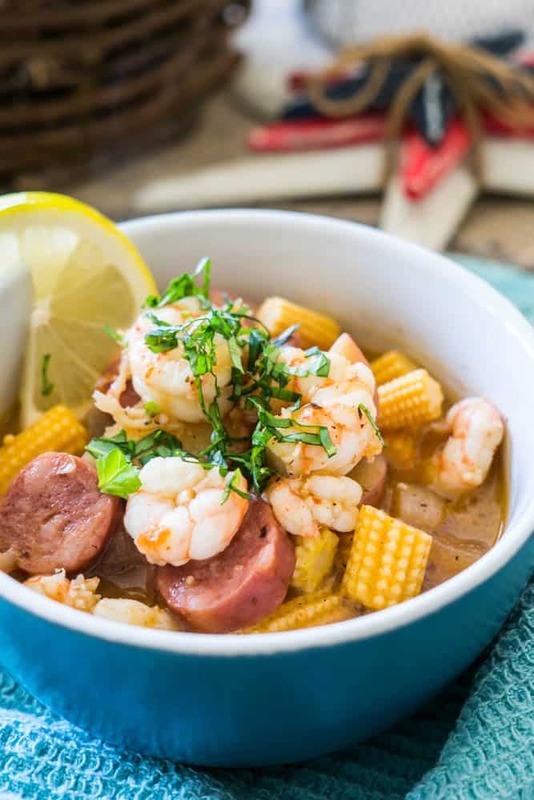 Soon after stepping foot on US soil for the first time, I was introduced to something called a “shrimp boil” and I fell in love at first bite – big shocker there. Soon after, naturally, I thought about making it into an easy to cook and easy to eat soup. While not exactly a low-carb recipe, it’s still made with whole, fresh ingredients and is a nutritiously scrumptious meal. 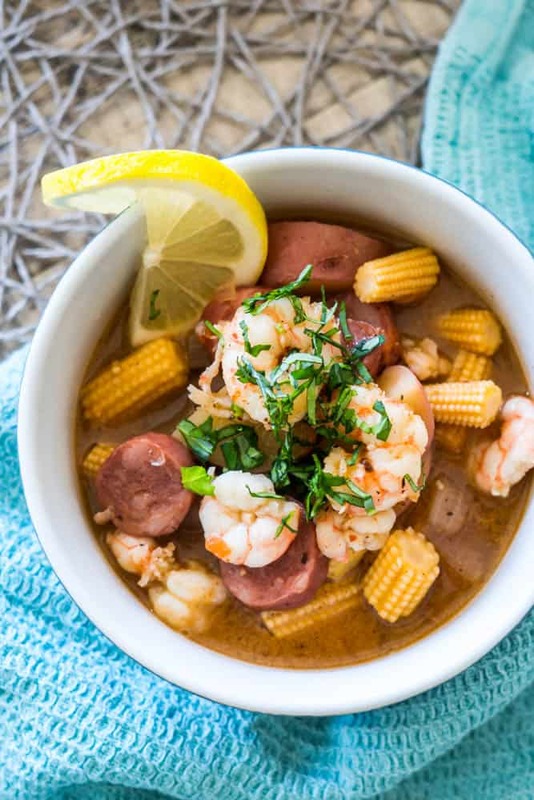 Shrimp Boil Soup, oh how I do love you. Using only 10 simple ingredients and taking barely 30 minutes to cook, you really can’t go wrong. That’s what I love so much about soups – it’s literally as simple as tossing a few things into a pot of water, and through boiling it turns into a delicious meal with such amazingly complex flavor. Soup…amirite? We’ve been back in South Africa for 2 weeks now and we’re finally fully settled in, and back into the swing of cooking and shooting a lot. It’s been a bit of a challenge adapting to the heat, especially for baby Bo – even though we were lucky enough to have a few rather chilly and rainy days when we first arrived. Sauté the onions in a knob of butter until soft. 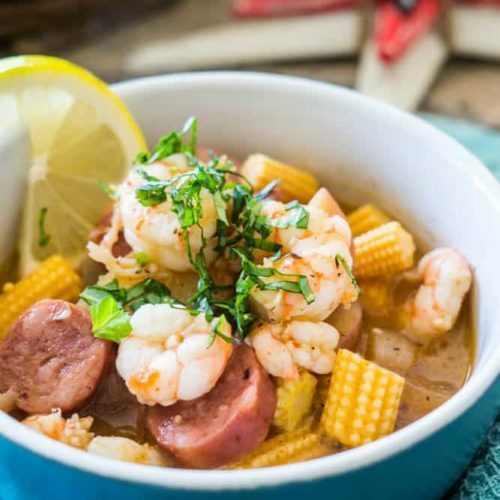 Add all the rest of the ingredients, apart from the shrimp, and boil for approximately 30 minutes [ensure that the potatoes are soft by poking them with a fork]. Add the shrimp and boil for another 2-3 minutes, until the shrimp is cooked.